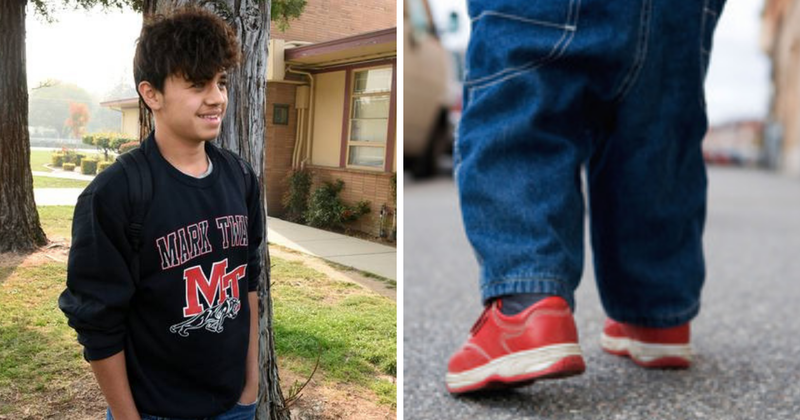 Adrian Castro is only 13-year-old but he’s already considered to be a hero for saving a 2-year-old girl from walking into traffic. Adrian says that he was walking to a boxing class at the Police Activities League when he spotted something out of the ordinary. 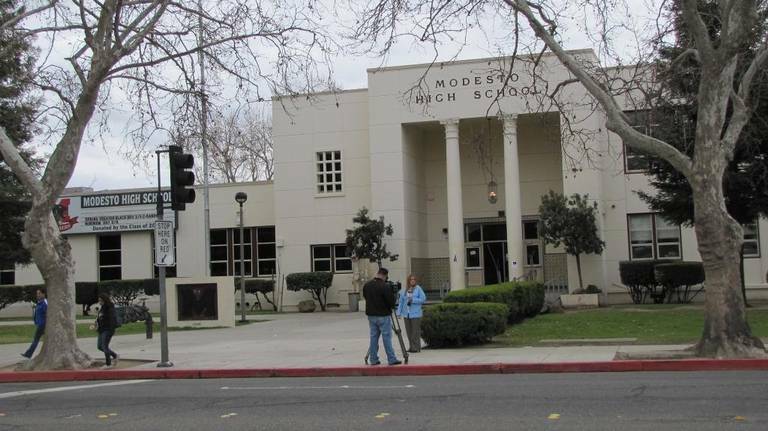 He saw a toddler standing all alone who was about to walk out onto H Street in front of Modesto High School. 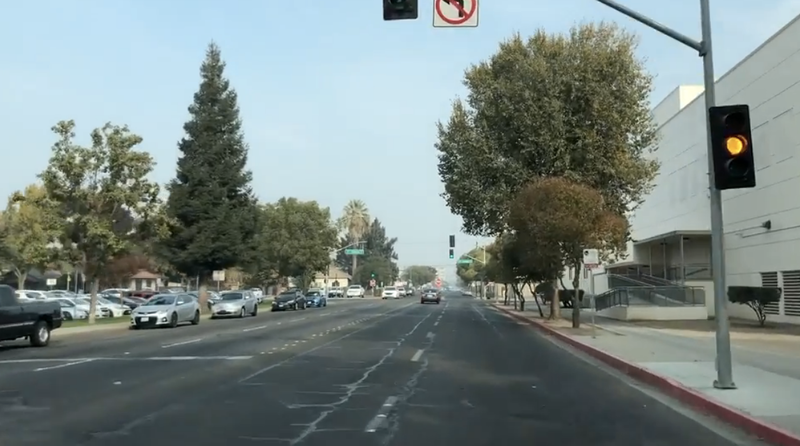 The teen, who is an eighth-grader at Mark Twain Junior High, ran over to the child and guided her back to the sidewalk as cars approached on the busy thoroughfare. During the moment he thought of his own little brother who is just 1-years-old. 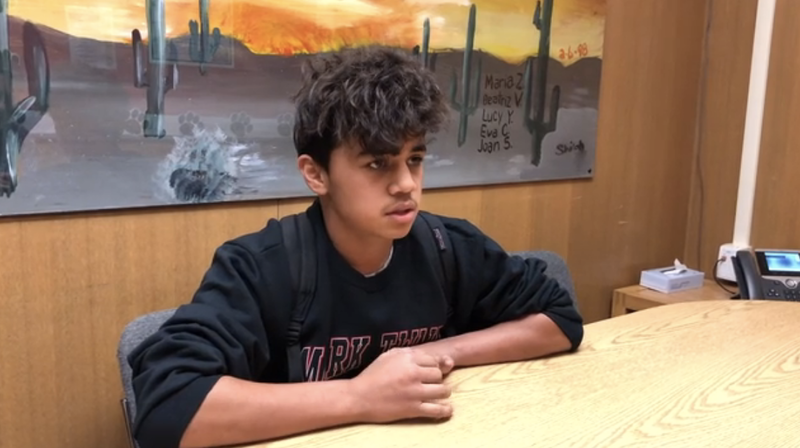 Once the girl was safe, he called 911. Police took his name, age, and location and told him to stay put until they arrived. The then spoke with the little girl who told him that she was 2-years-old and that her name was Aricelia. He asked her where she lived and she just pointed. During this time, police said that the girl’s mom and aunt were frantically searching for her. Apparently, she learned to open the front door and left without anyone knowing until it was too late. Her mother had already called 911 so police advised her of the child and Adrian’s location so she could meet them there. The mother and aunt arrived before the police did. Adrian asked Aricelia if one of the women was her mother and she said “yes” as she went to hug her. The child’s mother and police profusely thanked Adrian. 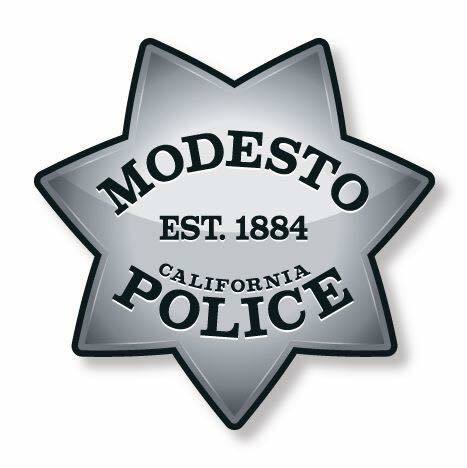 Police said that Adrian could have possibly saved the child from being abducted or struck by a car. 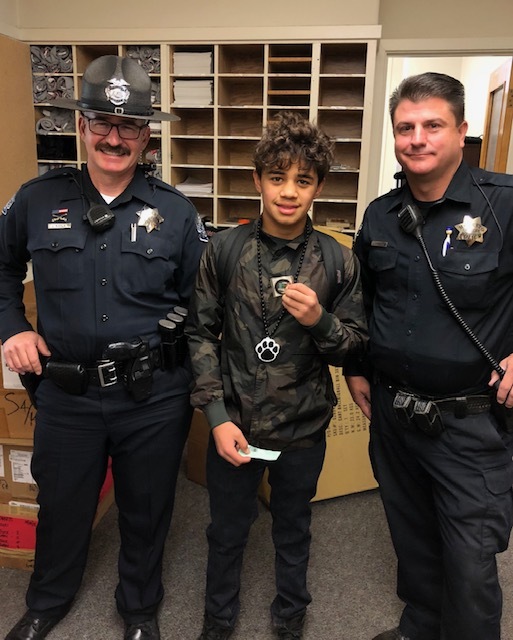 Officers actually surprised Adrian at school a few days later. 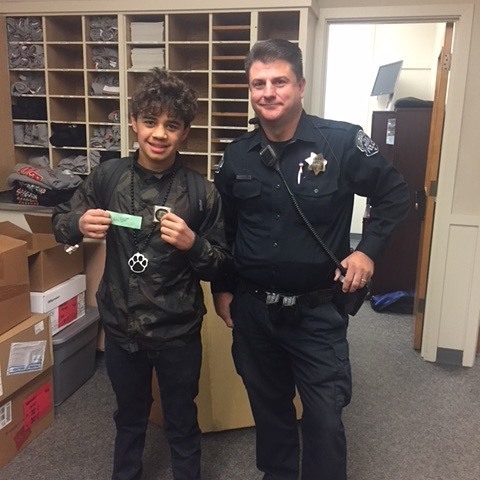 Officer Jason Stewart brought him a gift card and Police Department citizen challenge coin. “I was nervous but happy that I did something good,” Adrian said. 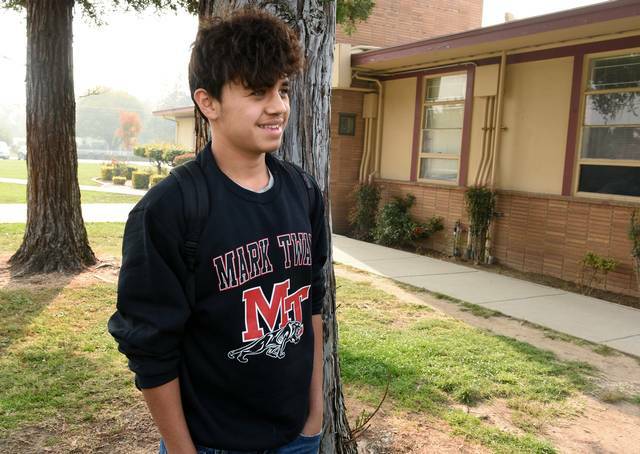 Adrian’s principal Gloria Gonzales said that the boy represents his school in every positive way. His mom was also super proud of him.